This is January’s work cake. Another mug inspiration. The cake itself didn’t photograph well. The painting on it is a gold pearly finish. So it looks neater in person than the photo can show. 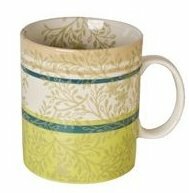 Below the cake photo is a pic of the mug that inspired it. The top of the cake is painted all over but because of the lighting it looks washed out. Really its just as dark as it shows on the front of the top tier. 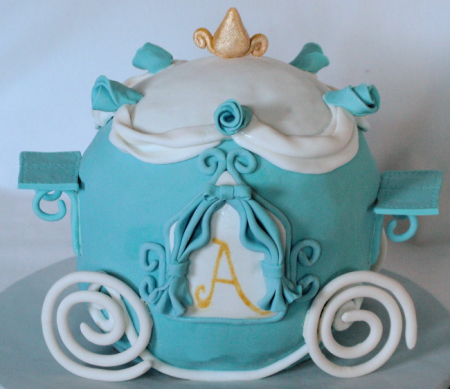 This cake was for a little girl who love Cinderella. The cake is a 6″ ball, fondant covered with gumpaste accents. 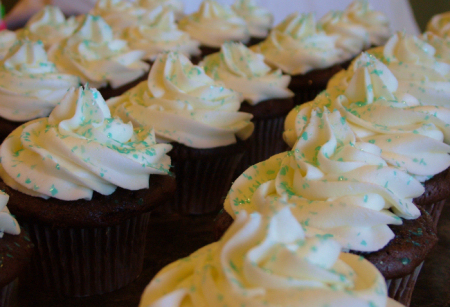 Along with this cake, went 30 chocolate cupcakes with cream cheese icing and blue sprinkles. 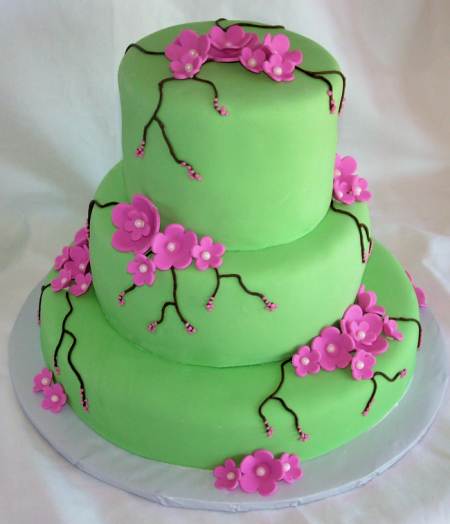 This bridal shower cake was based off of another cake of mine (green and pink). 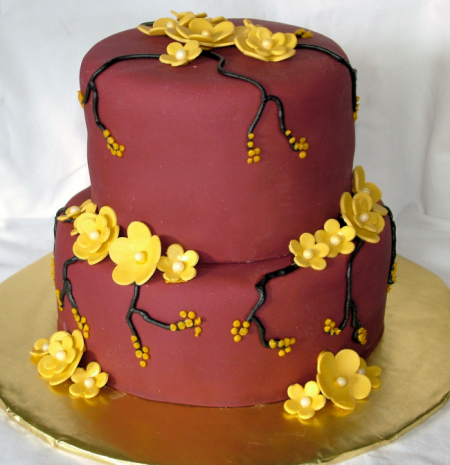 This time I did it in a merlot and gold color scheme to match the wedding colors. All fondant. This cake was for September at my husband’s work. It was based off another cake I had seen online. 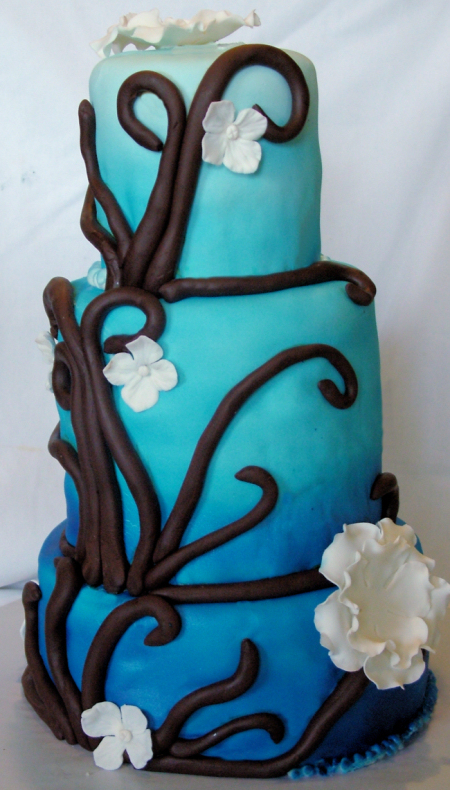 All fondant with gumpaste flowers. I used my airbrush to give it a gradient. 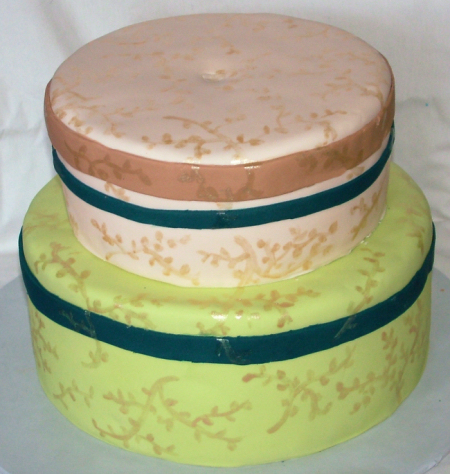 Cake sizes are 4″, 6″ & 8″. 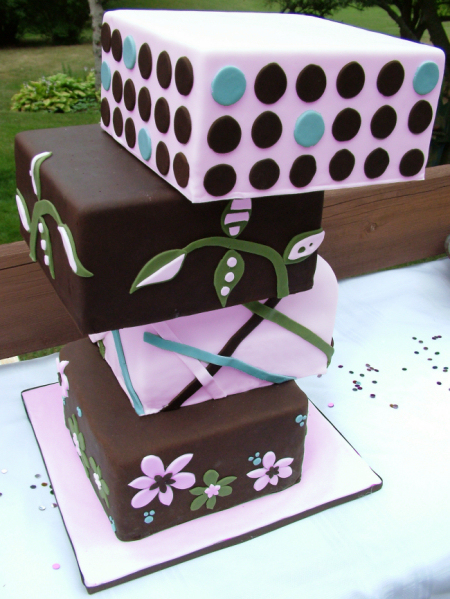 Another cake for my husband’s work… 6″, 8″ and a single layer 10″. 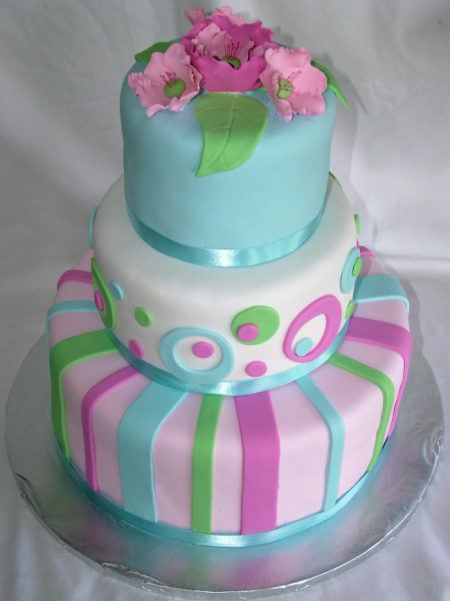 Fondant covered with fondant flowers. 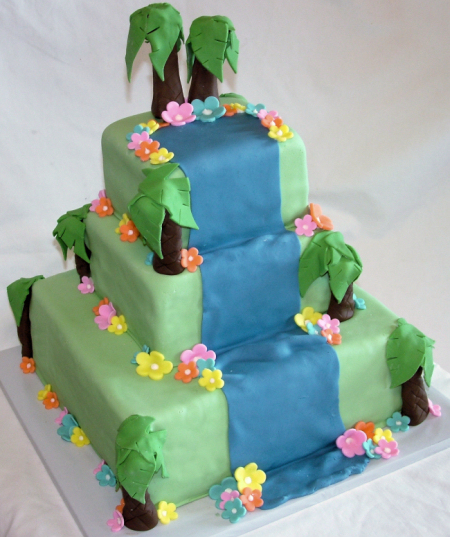 Here’s the first of 3 upcoming luau cakes. 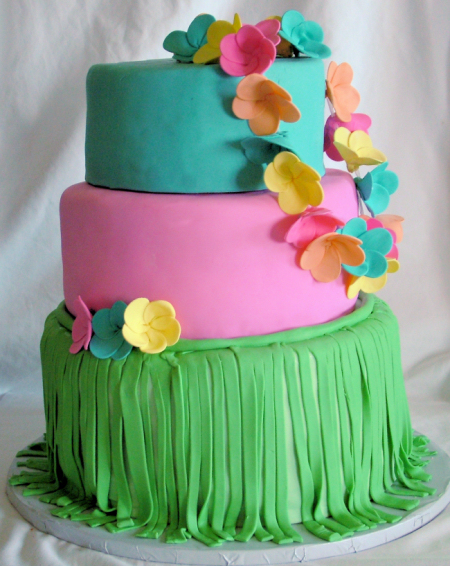 This first is a hula girl inspired cake…grass skirt and a lei. 🙂 All fondant covered. The lei flowers are gumpaste.